It’s hard to imagine that Las Vegas is located in the middle of a desert. This is especially true when you’re driving down the infamous Las Vegas Strip. Flashing neon lights, drink happy tourists and lush landscaping make this American get-away an oasis like no other. Rich in history and full of excitement, Las Vegas has so much to offer. 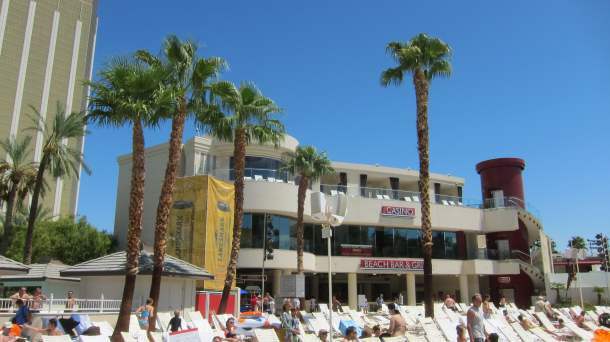 Whether you are a food & beverage aficionado, a showtime spectator, a celebrity spotter, a gambler at the high rollers table (or the penny slots), a fashion mogul, a lounge-by-the pool type, or perhaps you love it all, you will definitely find plenty to do here! 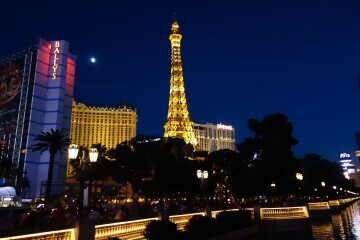 And that’s just (some of) what the famous Las Vegas Strip has to offer (I didn’t even get started on the nightlife)! Take a drive off the beaten path a little bit and there are plenty of other adventures to be found. Horseback riding, the Grand Canyon, ATV tours, and the Hoover Dam are all within your reach. With so much to do it can be a little overwhelming at times (in a good way) and at the end of a long day, or in between activities, it is always nice to have a place to come back to and unwind, relax, and get ready for the next adventure. 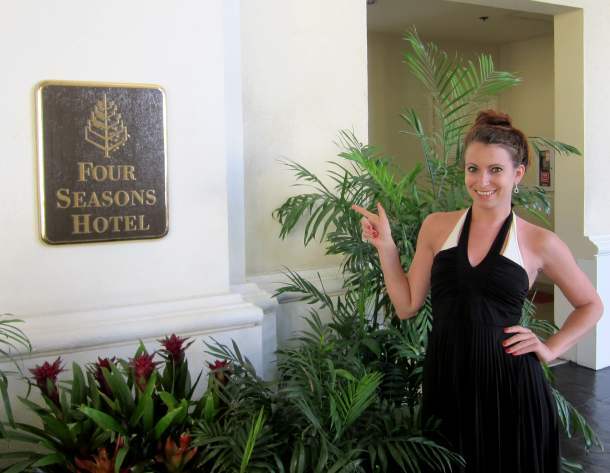 While I’ve been to Vegas many times over the past few years, I recently stayed at the Four Seasons Resort for the second time. This is the first time I’ve stayed at the same hotel twice rather than explore somewhere new. While my recent trip was shorter than usual – just a long weekend – the choice to stay at the Four Seasons Resort in Las Vegas was a well made one that turned into an amazing three days! The Four Seasons in Las Vegas is extremely personal. 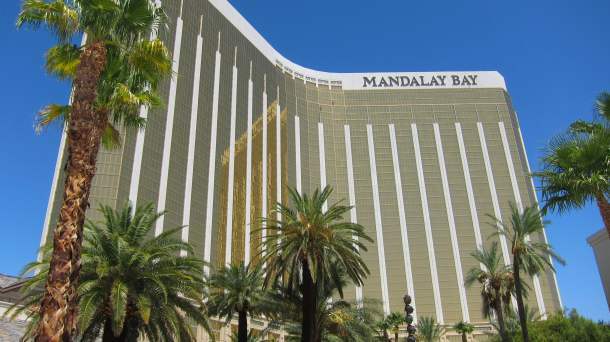 Located on the top five floors of the Mandalay Bay property, but with a private entrance and elevator entirely. The staff is incredibly attentive from the moment you pull up – opening the car door, lending a hand, offering a fresh, cold water, and taking any luggage to it’s proper room. 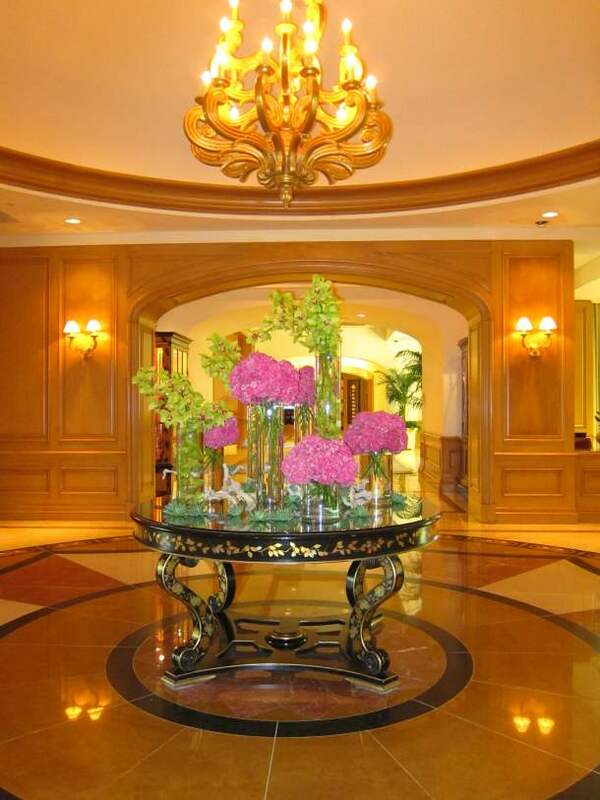 The entrance is spectacular with an enormous, marble lobby overflowing with palms, fountains, and plenty of fresh flowers. Once inside, check in is quick and easy and an elevator ride and 36+ floors later it is time to check out the spectacular view and unpack. 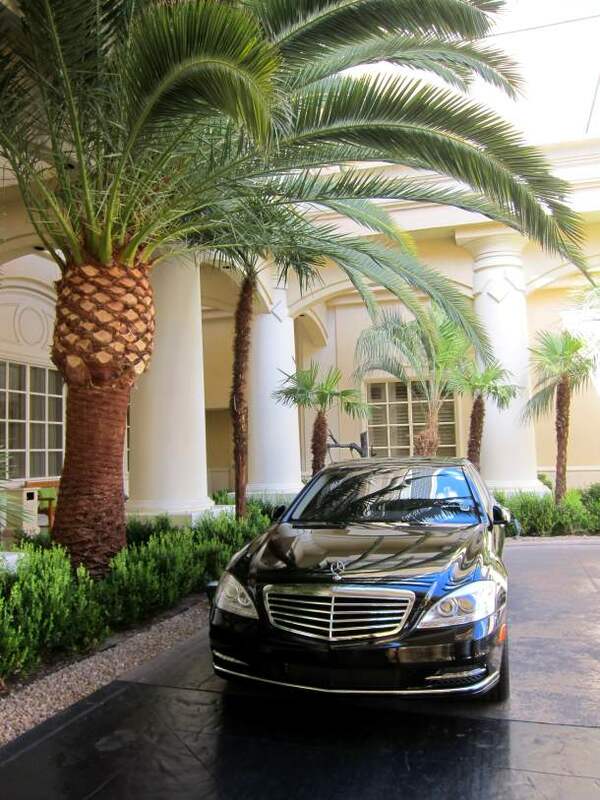 When it comes to getting around while staying at the Four Seasons in Las Vegas, they have got you covered! Should you decide to venture off the property and don’t have a rental (or plan to enjoy a few cocktails while you’re out) then you can make use of their chauffeured Mercedes-Benz – this car is GORGEOUS!!! However, if you want to stay at the resort and check out the property (which I highly recommend), there is definitely plenty to see. 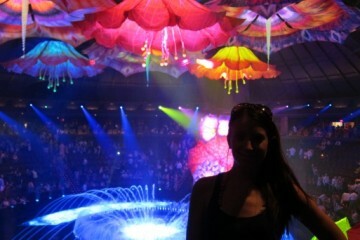 For starters, the pools are amazing! While guests of the Four Seasons have access to the Mandalay Beach, which includes a sand bay and wave pool, the Four Seasons Resort also has it’s own exclusive pool where guests can relax, order off the menu, or just enjoy a little time in the sun. Four Seasons Las Vegas - wearing my Maruska Gemelli Swimsuit, Via Spiga Sunglasses, and flipout sandals. At this pool, guests are reminded of the Four Season’s commitment to detail with special touches such as pitchers of water being brought out, without asking and constantly being refilled, again without asking. Also, there is plenty of reading material for guests to enjoy poolside. They even have cans of Evian misters to keep your skin hydrated and feeling cool in the hot, desert heat. 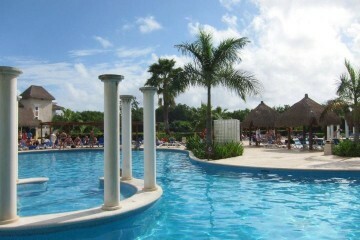 It’s hard not to feel like a Roman Goddess while laying by this pool! Of course, the Sangria is pretty amazing too – but in this heat it’s water first and plenty of it! 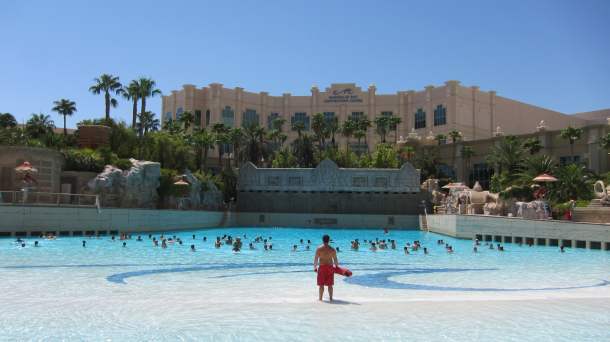 While the private pools at the Four Seasons are quiet, relaxing and luxurious, the wave pool at Mandalay Beach is a giant beach party. With plenty of lounge chairs, actual sand, lifeguard stands, some drinks and some music, you could almost forget that you are in the middle of the United States and pretend for a hot minute that you are actually beach side! I had a blast at Mandalay Beach, though nearly burned my feet while trying to walk on the sand – my advice is to make sure you keep your (flipout) sandals close by for trips to the restroom or up to the food area. 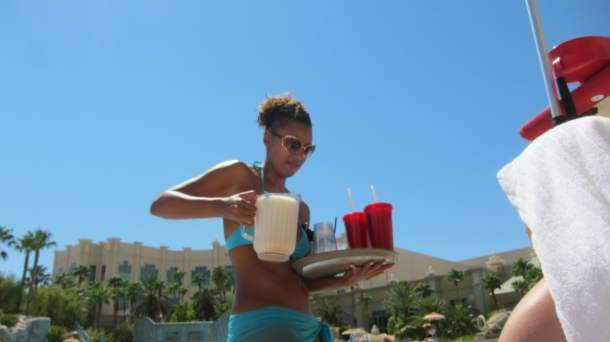 There are waitresses assigned to each of the lounge chairs so you can order food and drinks (hello frozen pina coladas) right from where you are hanging out. The pool has some pretty fun waves which come about every sixty seconds. Two pools, plenty of iced water, a pitcher of Sangria, and a pina colada later, I certainly worked up an appetite. Next stop: A quick break back at the room for some much needed AC and a cool shower. A new outfit later had me feeling refreshed and now I was ready for dinner. While exploring the strip’s many fine restaurants is always fun, I also recommend checking out one of the Four Season’s restaurants; the Charlie Palmer Steakhouse or my personal fave, Verandah. Verandah also happens to be where I celebrated my Thanksgiving dinner a couple of years ago (see post). This restaurant offers an outdoor seating area that is absolutely perfect once the sun is starting to set and it begins to cool off. Verandah generally offers a pre-fix menu as well as their regular menu. 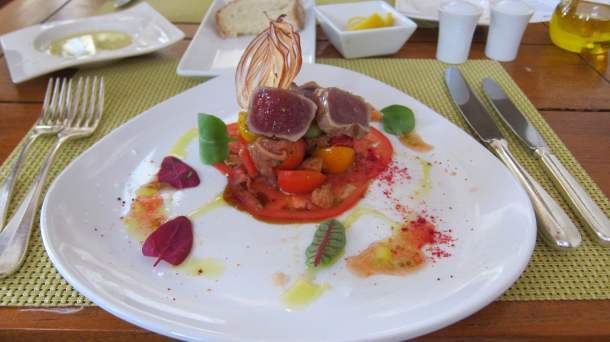 This trip, I opted out of the pre-fix in lieu of a tuna appetizer and a filet mignon with a side of mushrooms and Parmesan truffle fries as my entree. Delish! Skipping dessert with a full stomache, I returned to my room to find that turn town service had taken place while I was out. It was a nice surprise to find that all of my clothes had even been folded! 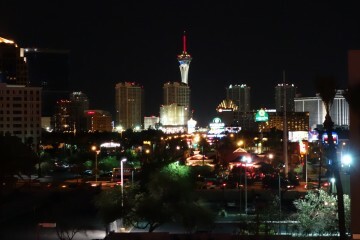 A quick after-dinner nap and then I was off to the casinos for a bit of gambling and a sugar-free Redbull before heading out to Voo Doo lounge for a little night-time adventure. 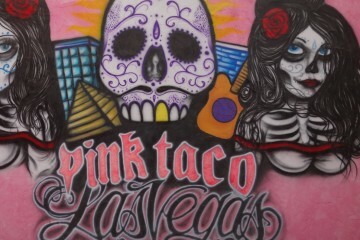 It’s amazing what you can do in a 24 hour time period in Vegas! And I still had a little over 48 hours to go before my flight back home! Next ArticleMaruska Gemelli Swimwear ALL Season(s) Long!